Here are the members of our team. All devoted to bettering the lives of animals. 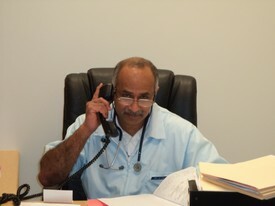 Dr. Daudjee has owned All Critters Animal Hospital since 2004. Becky has been an All Critters team member since Nov 2006. She shares her home with an array of critters; a Donovan Pinscher named Lotus, an African Grey named Aries and two Guinea Pigs named Camo and Sprocket. Beth has been part of the All Critters team since September 2015. Beth shares her home with her cat named Oracle. Michelle has been an All Critters team member since April 2016. She has a new puppy named River, and also owns two cats named Blade and Galaxy. Tegan has been an All Critters team member since September 2016. Tegan has two fresh-water fish tanks that she enjoys watching, they are teaming with guppies, neons and one frog. Isha has been part of the All Critters team since Sept 2017. She shares her home with her cat named Chini. Melissa has joined our team just in June 2018. Melissa has previous experience in Animal Control, Humane Society and also worked a few years on a horse farm. She shares her home with two teenage daughters and a rambunctious cat named Tucker. Carmun just recently joined the All Critters team in March 2019. She shares her home with 3 cats and 2 dogs. Elsa has lived at All Critters since she was a kitten. She was originally an SPCA stray that was found with a broken leg. It was love at first sight for both the doctor and her. He fixed her leg and told the SPCA that if they didn't have a home for her he would give her one. She enjoys spending her days "helping" the doctor with his files and napping in the office. Roachie is our newest clinic cat to join us. He was surrendered to us July 2018. He is a lovely cat but is full of attitude. He settled in quick, and is definitely ruling the roost now. Julie has been with All Critters Animal Hospital for almost as long as Dr. Daudjee, she was hired in 2004. She shares her home with a Standard Poodle named Treazure and a rabbit whom her son named Fuzzy Wuzzy. Celina has been an All Critters team member since March 2011. She shares her home with a French Bulldog named Stella, an English Bulldog named phoenix..